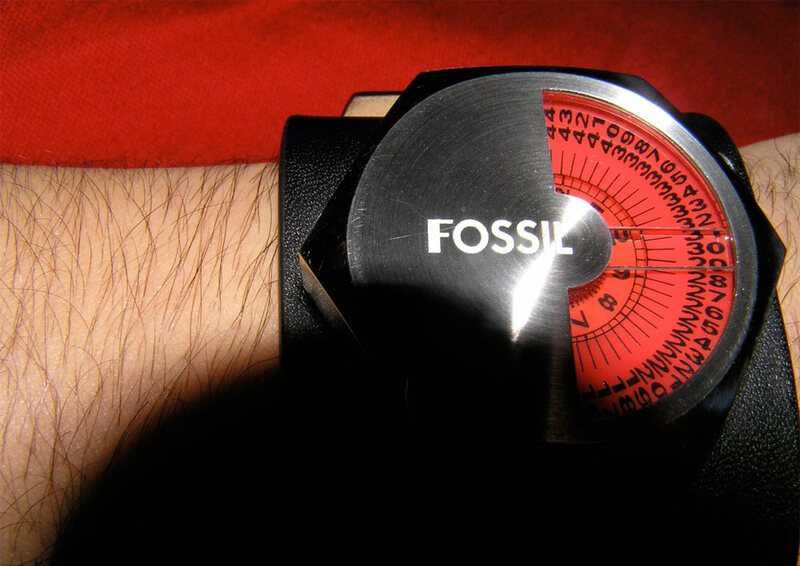 Client: Fossil watches / Parsons the New School for Design. 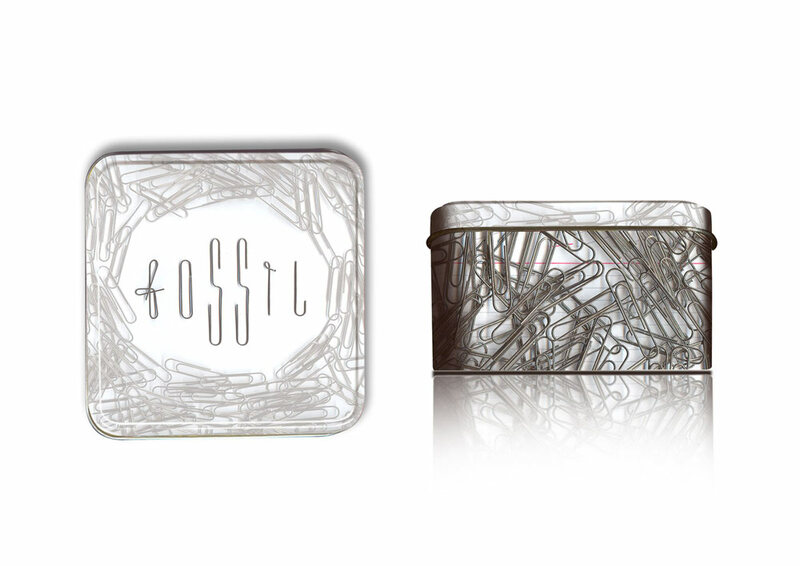 This award-winning group project was developed while studying at Parsons the New School for Design. 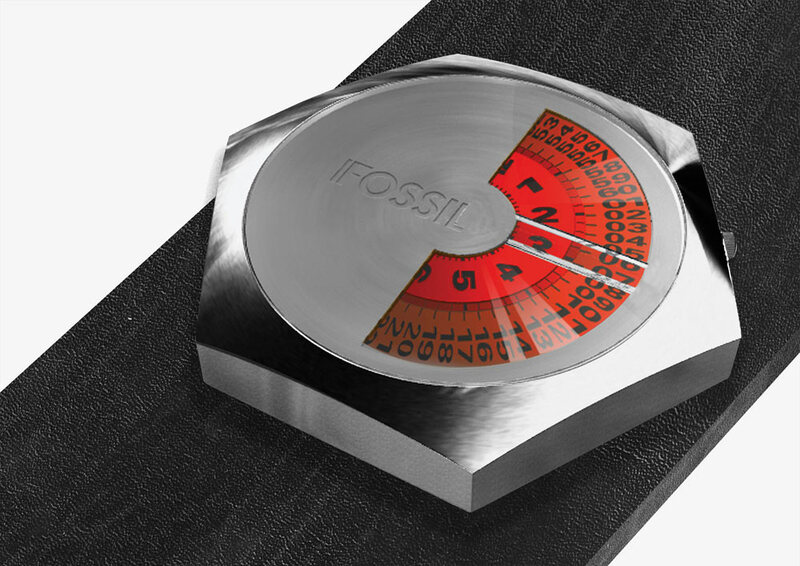 In an inter-disciplinary subject in collaboration with Fossil watches, the class was divided in groups with the goal of conceptualising a watch design and its packaging (the emblematic Fossil watch tin). We were awarded 1st prize for our watch design (for which prototypes were produced), also being awarded 2nd runner-up for our tin design. 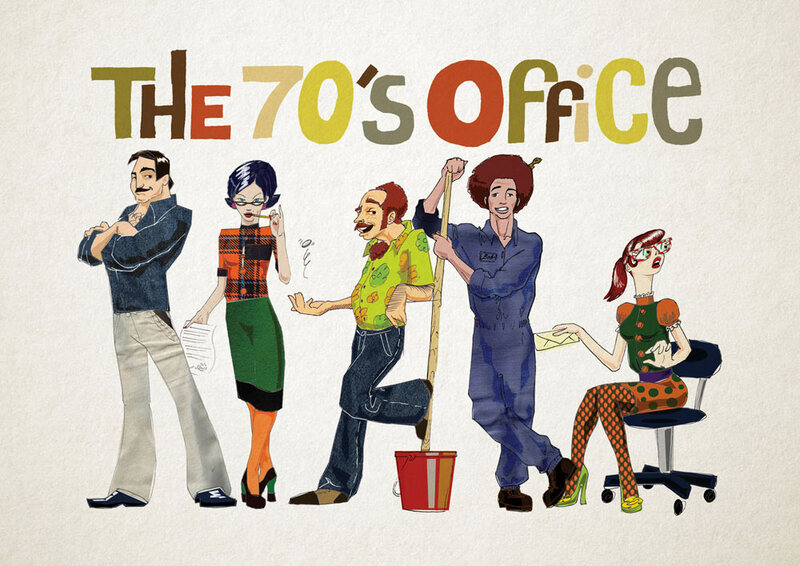 We designed 5 characters for an imaginary story: The 70's Office. 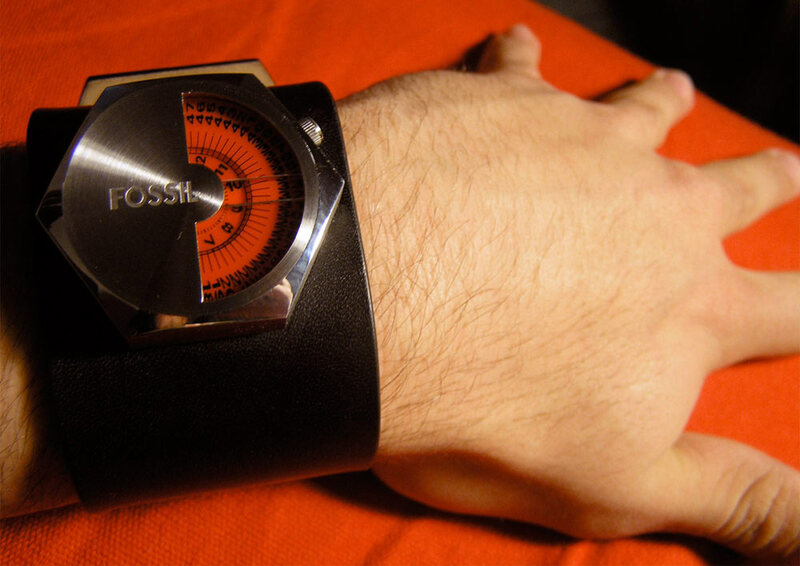 We then went on to design one watch concept for each character based on their supposed idiosyncrasy. 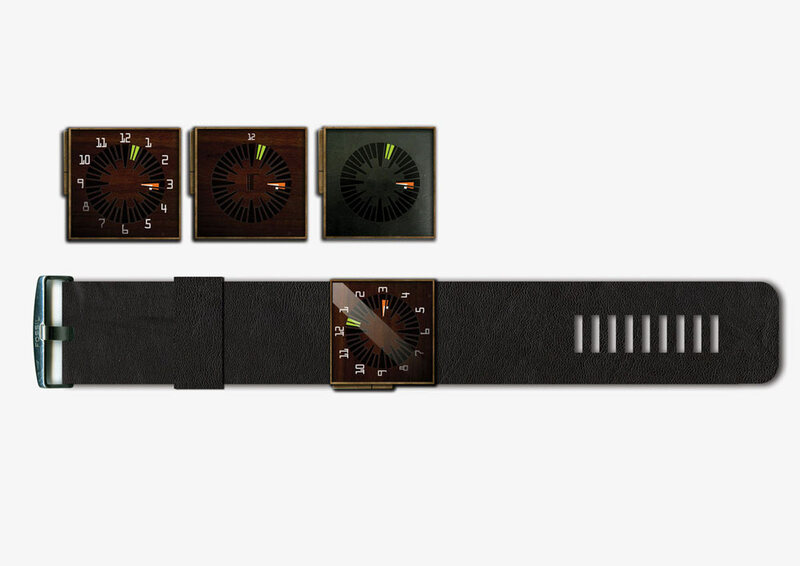 Throughout the guided process with our project directors, we chose the Janitor as the character for whom we would then design the watch. 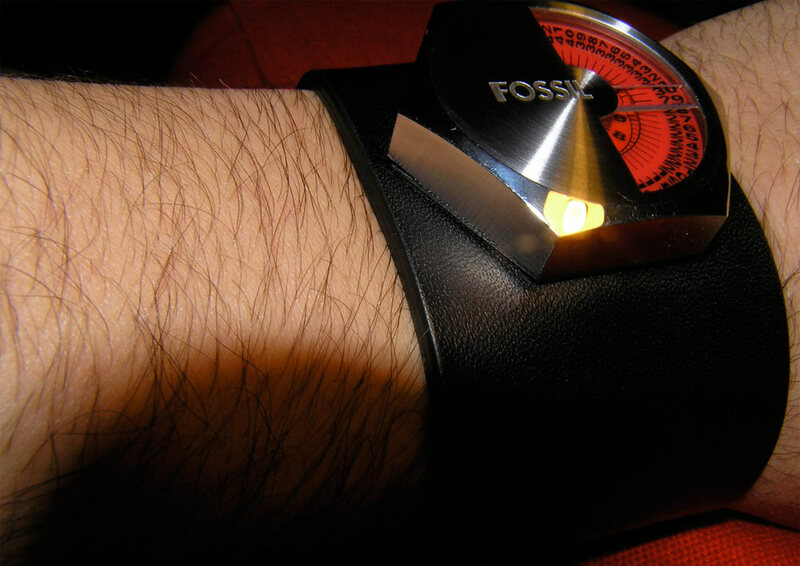 It had to be a watch that was resistant to water, to manual work and possible mild impacts, therefore we chose materials like: a thick leather for the band, a thick aluminum hex nut-shaped case, and a thick crystal.